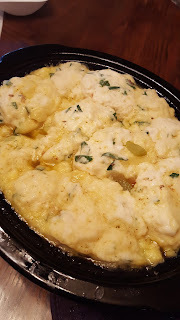 My momma made a mean chicken and dumplings soup growing up. So did my Grandmommy. My family can COOK ya'll. 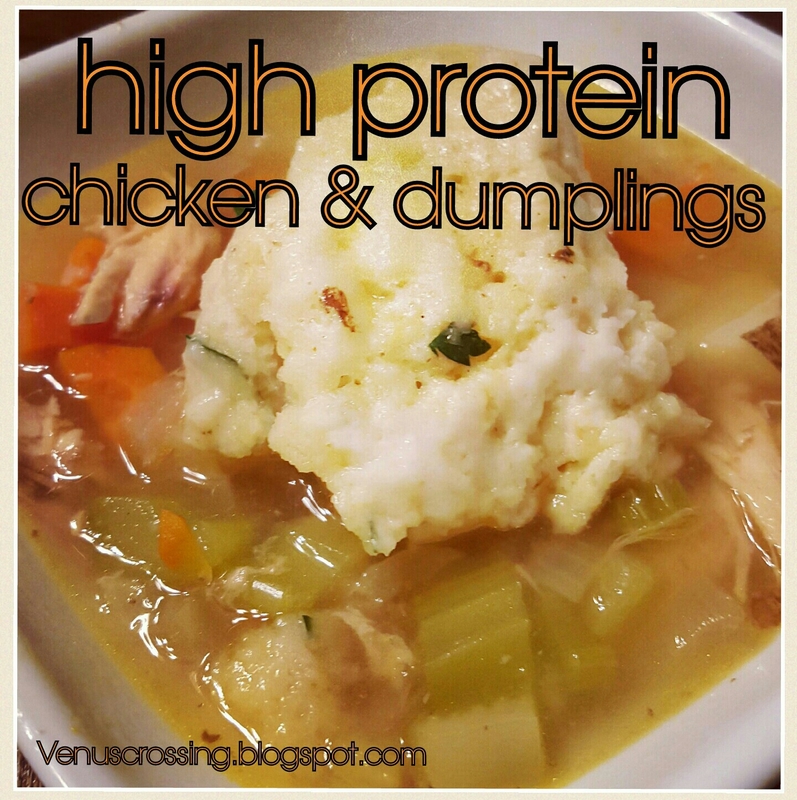 One of my Venus friends Jenia posted her version of high protein chicken and dumplings in the Venus community the other day. She was surprised how reasonable the protein to calorie ratio was, and so was I when I read it! So that got my wheels spinning and I had to make some, ASAP! I took her recipe and my momma's together to make this one. Next time I make it, I plan to leave out the potatoes which will save a few more calories. 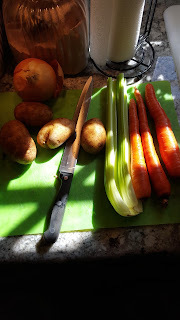 Making this is also a good time to make a bone broth if you have any bones. Why bone broth? It is great for joint health, skin, nails, hair, and most importantly to me - gut health. Just throw the bones into another crockpot, top with water, and I like to add some root vegetable odds and ends such as the scrap parts from your chicken & dumplings prep. 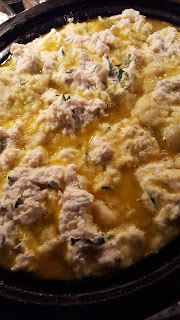 It will cook overnight. Then strain. I portion mine out into 2 cup servings and freeze until I need it. 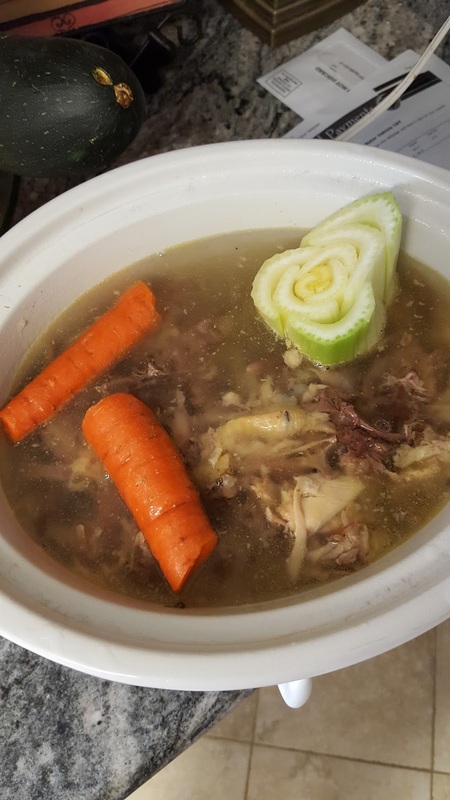 I do this recipe all in a crockpot, but you can certainly do it in a Dutch oven as well! Set your crockpot on low and place the chicken breasts, bouillon cubes, chopped carrots, chopped celery, chopped onions, and chopped potatoes. Cover with water and cook for 4-6 hours. Shred or chop your chicken and return to the pot. Put in the peas and the butter. 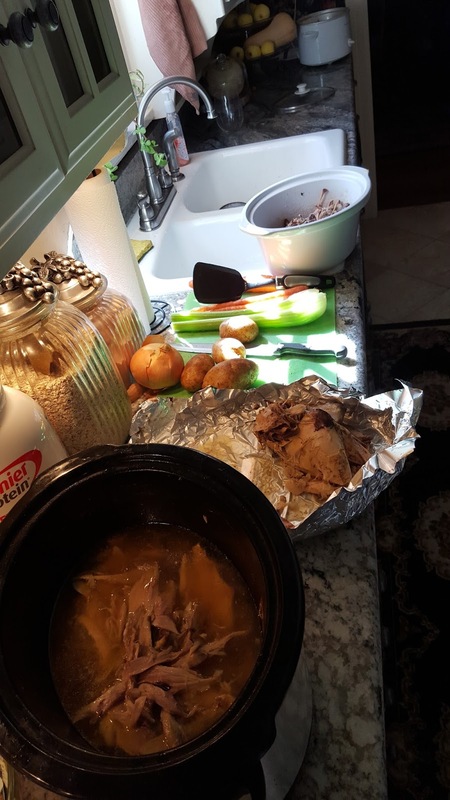 Turn the crockpot on high. Add more water if needed. In a mixing bowl, stir together the flour, baking powder, salt, milk and parsley. 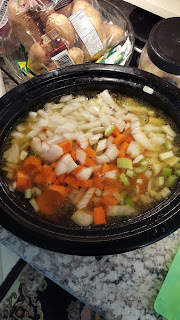 Once the soup is boiling (my crockpot took about 15 minutes) drop the dumplings into the liquid. 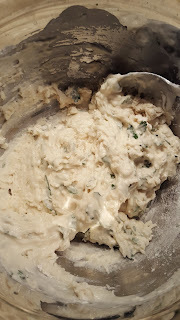 I make mine about 1-2 tbsp each which ended up with about 10 dumplings. Allow dumplings to cook 20 minutes and serve. I ended up using 2 small whole chickens so I had bones for bone broth! Chicken and veggies going into the pot! My daughter helped drop in the dumplings!